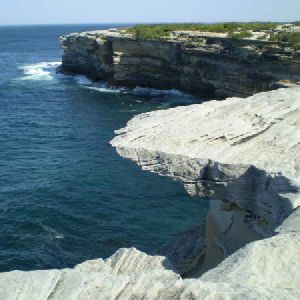 (0km) Kamay Botany Bay Visitor Centre → Cape Solander Dr int. 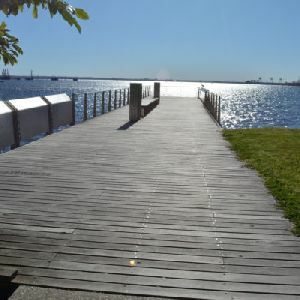 A series of four timber slat bench seat, 44cm high, 32cm deep and 1.8m wide with no arm or backrest. 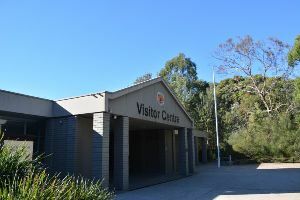 The seats are outside the visitors center. 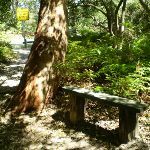 A timber bench seat, 54cm high, 20cm deep and 1.4m wide with no arm or backrest. 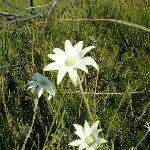 just before the road. 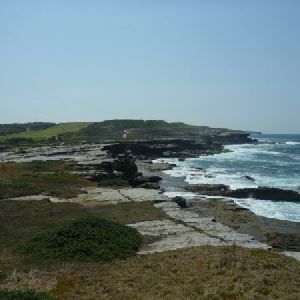 The walk then leads up the rise to then crossing (taking care) Cape Solander Drive to the intersection marked with a large ‘Yena Trail’ map sign. 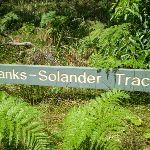 Continue straight: From the intersection, this walk follows the ‘Banks-Solander Track’ arrow gently uphill along the gravelly trail for about 50m to find a 3-way intersection marked with a small ‘The Banks-Solander Track’ plaque (with a narrower track on the left). 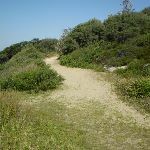 Continue straight: From the intersection, this walk follows the wide, mostly flat gravelly trail south (further away from the road) for a little over 200m, until coming to an intersection with the other end of ‘Banks Solander Track’ (with a timber boardwalk on the left). 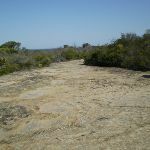 Continue straight: From the intersection, this walk heads south along the gravelly management trail until coming to an intersection with a bush track on the left. 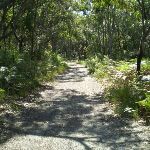 Veer left: From the intersection, the walk follows the main management trail to the south-east through the open ferny forest. 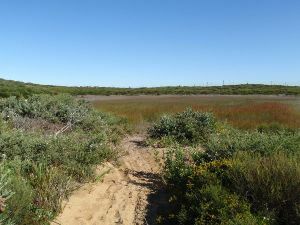 Soon, the Yena trail meets the radar track (on the right). 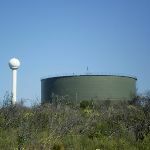 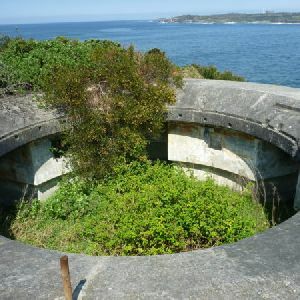 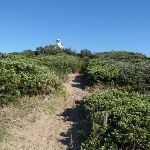 Turn right: From the intersection, this walk heads south along a sandy bush track towards the water tank and radar tower. 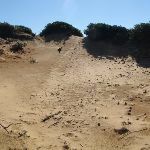 This is a very sandy trail, with several small ups and downs along the way to a ‘T’ intersection with a wide bush track – just to the west of here (approximately 5m), there is another intersection with a service trail. 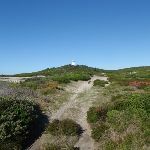 Turn left: From the intersection, the walk initially heads east, then turns right along the wide bush track, keeping the water tank and the radar on the right as it winds through the heath forest, coming to a four-way intersection with a wide management trail. 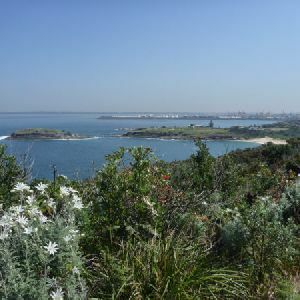 2.5km of this walk has short steep hills and another 1.4km has gentle hills with occasional steps. 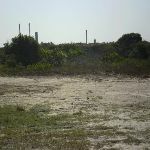 The remaining (510m) is flat with no steps. 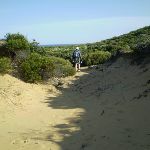 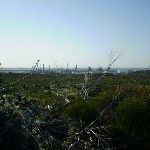 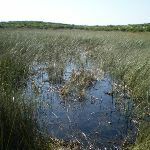 Around 3.1km of this walk follows a formed track, with some branches and other obstacles, whilst the remaining 1.3km follows a clear and well formed track or trail. 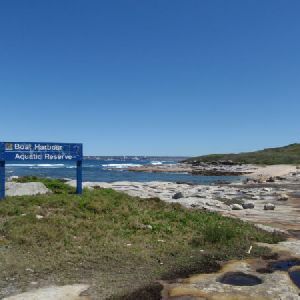 Around 3.3km of this walk has directional signs at most intersection, whilst the remaining 1.1km is clearly signposted. 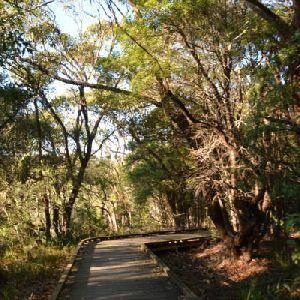 Around 2.7km of this walk requires no previous bushwalking experience, whilst the remaining 1.7km requires some bushwalking experience. 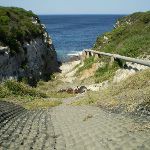 Around 3.7km of this walk has limited facilities (such as not all cliffs fenced), whilst the remaining 660m is close to useful facilities (such as fenced cliffs and seats). 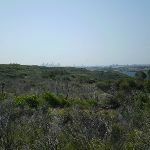 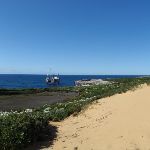 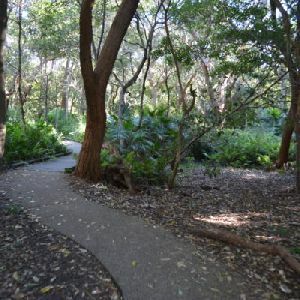 A list of walks that share part of the track with the Botany Bay Discovery Centre to Cape Baily walk. 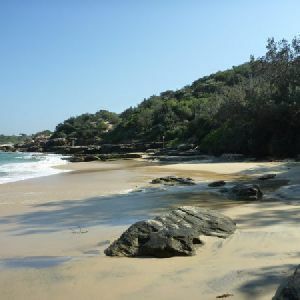 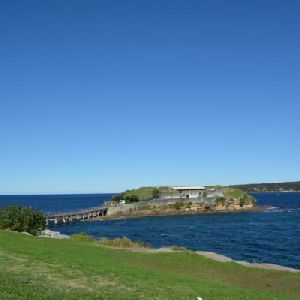 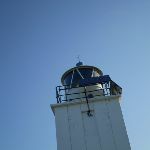 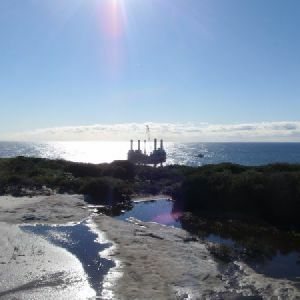 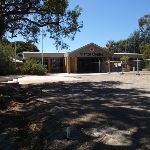 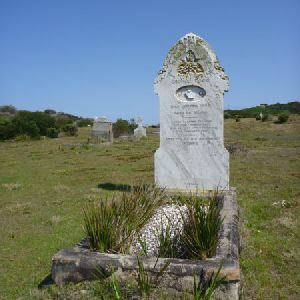 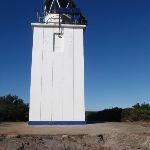 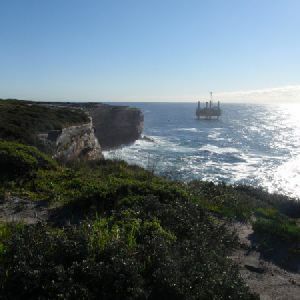 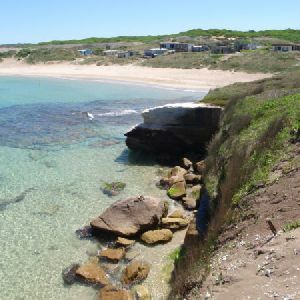 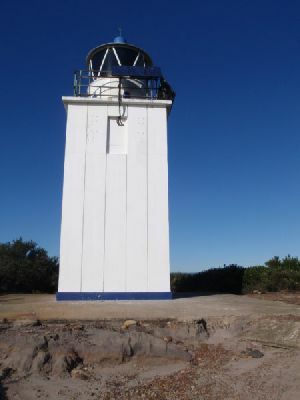 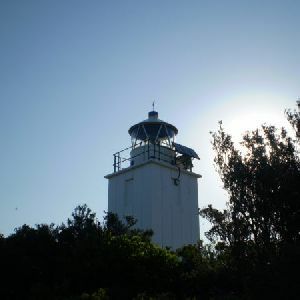 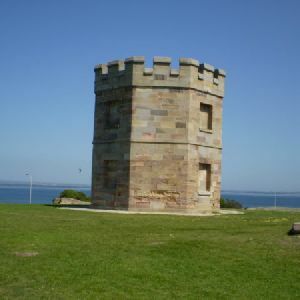 A list of walks that start near the Botany Bay Discovery Centre to Cape Baily walk. 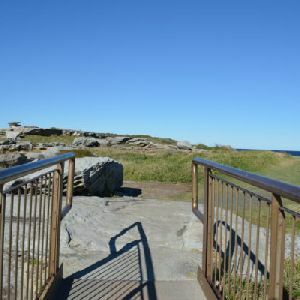 http://new.wildwalks.com/wildwalks_custom/includes/walk_fire_danger.php?walkid=nsw-botanybnp-bbdctcb Each park may have its own fire ban, this rating is only valid for today and is based on information from the RFS Please check the RFS Website for more information.